"Josie moved around my body – sometimes I could feel her hands on me, sometimes they hovered just above me. She spent a lot of time in my mid-section, around my solar plexus. My heart felt as though it was literally beating out of my chest. Wherever she had her hands, I could only really feel that part of my body, I wasn’t aware of the rest of me – just right where she had her energy was the only part of me that existed." "Sometimes your calling finds you. It wasn’t something I woke up and decided to do, I had an intense awakening to my healing abilities in 2011. It changed my entire life as I began a quest of healing myself and others. By Summer 2014 I left my job in the city as a PA to launch my healing practice and it has been a magical journey ever since. Not a moment passes by when I do not feel deep gratitude to be able to work with other people in this way and witness the shifts that energy healing can bring to someones health, wellbeing and life. It is my mission to continue spreading awareness of energy healing. I truly believe it is just as integral to our health as a good diet and exercise." "It opens a few suspense-filled moments later with a waft of incense, revealing an angelic blonde draped in a yellow shawl. So this is what they mean by a beautiful aura. Josie (for that is her name), greets me with a warm, nurturing hug and knowing eyes like she’s already peering into my soul. She leads me inside her mystical apartment that’s adorned with healing paraphernalia including Alchemy Crystal Bowls, Tuning Forks, bundles of Sage, Palo Santo and Chakra Balancing Mists." “With crystal healing widely dismissed as a pseudo-science, it’s easy to scoff. But despite being unsure of what spiritual beliefs I have – if any – I’ve always been happy to accept there might be all sorts of forces at work in the universe. So I head to east London to speak to Josie of Eleven Healing, an energy healer who uses a crystal pendulum as part of her sessions. "I have been seeing Josie, Founder of Eleven healing for Reiki treatments for the past six months and I can honestly say they have been such transformational experiences. I have loved seeing the results and it encouraged me to delve further into Reiki by enrolling onto Eleven Healing’s Level 1 Reiki course. I sat down with Josie to discuss the origins of Eleven Healing and her plans for the next six months including retreats and a new residency at the Re:mind studio in Victoria. 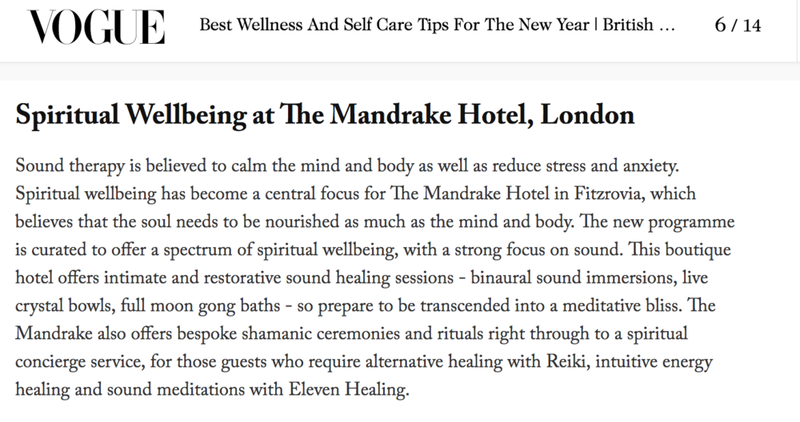 "Nestled in Belgravia, Re:Mind’s peaceful studio offers classes for all levels. Its signature sound healing session Re:Sound uses bowls, gongs and other instruments to offer a grounding and nourishing experience. Look out for intuitive energy healer Josie who is widely regarded as one of London’s leading sound healing experts." "A transformative retreat where you will be held in an authentic, compassionate space, gently supported to open, release and expand through self-exploration. You will be guided through various healing methods including yoga, cacao, fire ceremonies, sound healing, guided meditation, singing, mantra, movement and energy healing. All of these powerful healing methods have one intention in common – to activate your own source of personal power. Serving as a reminder that all of the wisdom you need is already within you. Sometimes we just need a little guidance." 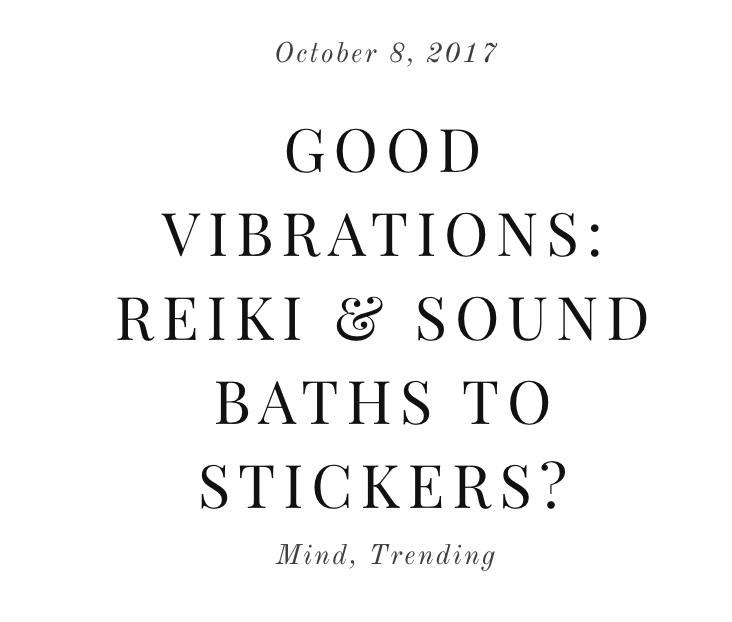 "If you prefer the idea of rebalancing your chakras one-on-one, try a session with Josie, a qualified Reiki Master from Eleven Healing. Her healing arsenal includes; alchemy crystal bowls, tuning forks and chimes to address blockages and imbalances to promote higher vibrations in the body."